A new white paper from Mettler Toledo aims to drive home the importance of calibration in weighing devices by explaining the concept and how it influences weighing accuracy. Calibration, an essential test for balances and scales, is a small detail that can make a big difference to ongoing accuracy of the equipment. However, not many industry users understand the importance of calibration or why it is necessary. 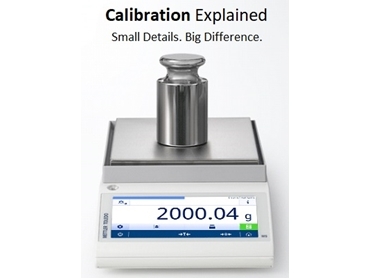 The latest instalment of Mettler Toledo’s ‘Small Details, Big Difference’ series, the white paper ‘Calibration: What Is It?’ answers this important question to help improve weighing accuracy and provide better quality to customers. The three topics essential to calibration that are covered by the white paper include: Why calibration is necessary; The difference between calibration and adjustment; and Tolerances and why they are critical. Though the terms ‘Calibration’ and ‘adjustment’ are often used interchangeably, adjustment should never occur in the absence of calibration. Only after an instrument’s current performance is clearly understood through professional calibration should any type of adjustment be attempted. Essentially, calibration eliminates guesswork in weighing processes. To learn more about how calibration can improve weighing accuracy and process or product quality, download ‘Calibration:What Is It?’ today.